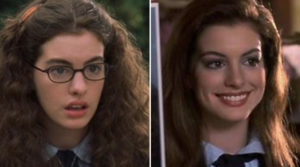 It’s a tried and true movie trope – put a character in nerdy glasses, maybe slick the hair, and they are suddenly unrecognizable. 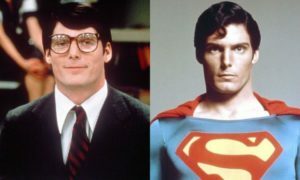 Of course, the most famous instance of this is Superman’s alter ego, Clark Kent. 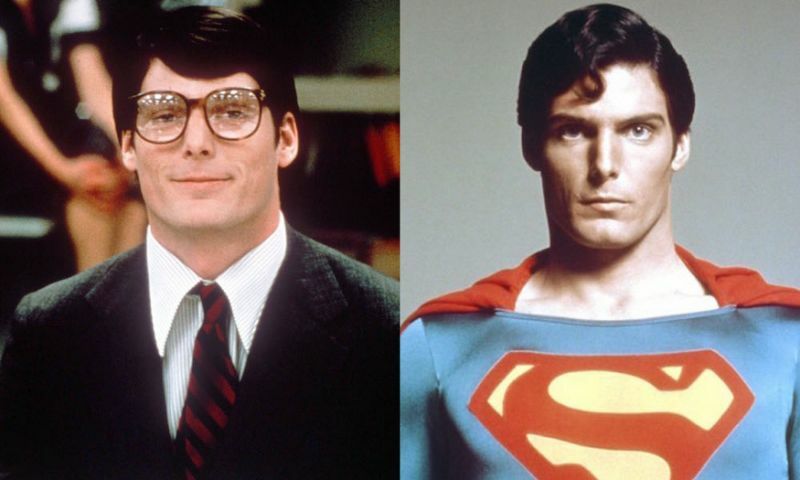 Take the tall, muscular Krytonian Kal-El, throw some glasses on him and change his hair, and all of a sudden he’s the mild-mannered pushover Clark Kent. No one ever seems to realize that Clark Kent is still a 6’3″, 235 lb stud. 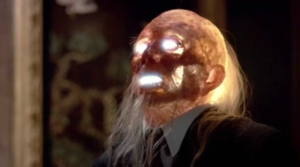 In BIG TROUBLE IN LITTLE CHINA, when it’s time for Jack Burton to infiltrate the brothel where Miao Yin is being held, he changes his clothes and hair, puts on a pair of glasses and magically transforms. He becomes Henry Swanson, a dorky traveling businessman who could never possibly be confused for Jack Burton, despite the fact that they both look exactly like Kurt Russell. There is also a version of this specifically for the ladies. Put a beautiful actress in glasses, give her messy hair or a ponytail, add a pair of overalls maybe, and she transforms into a mousy bookworm or tomboy unfit for the attention of potential suitors. Conversely, once those glasses come off and the hair is let down in the final act, her previously invisible beauty truly reveals itself. 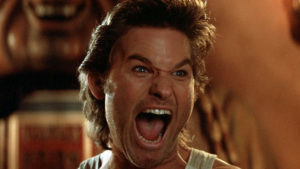 Check out some of the other tropes from BIG TROUBLE IN LITTLE CHINA here. The first incarnation of BIG TROUBLE IN LITTLE CHINA as envisioned by original screenwriters Gary Goldman and David Z. Weinstein was that of a wild west adventure in which a loner cowboy working for the railroad gets mixed up in a mystical Chinese adventure in 1890s San Francisco Chinatown. Goldman and Weinstein thought of their idea as something more in the vein of INDIANA JONES or STAR WARS, and were hoping it would spawn a franchise as those other properties had. Jack Burton was named Wiley Prescott in the original script, and was a cowboy working for the railroad to keep the Chinese workers in line. After winning a bet with a Chinese worker named Sun, Wiley and Sun travel to San Francisco to get Wiley’s money and to meet Sun’s bride. This is when Wiley’s horse gets stolen and all the mayhem begins. Goldman says that similar to the final product, Wiley was a blowhard whose bark was worse than his bite. Twentieth Century Fox liked the concept and purchased the project. However the filmmakers were having a hard time finding a director excited to embrace the film’s western and fantasy elements. 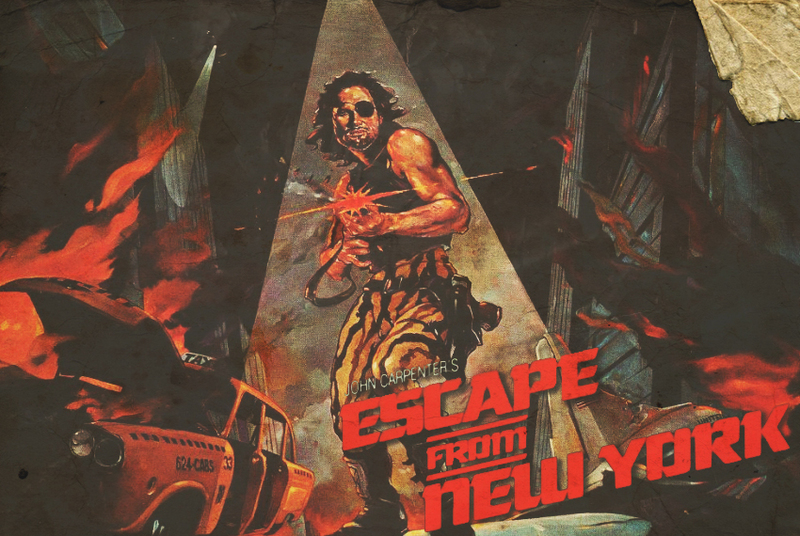 Western genre films were out of fashion in Hollywood at the time, and the producers began looking for ways to make the project more appealing. W.D. Richter pitched the idea of modernizing the movie and playing up the comedy elements of the story, which the executives at Fox liked. Goldman says the decision to update the setting was made without his and Weinstein’s input. When they were offered a chance to rewrite the script, they were adamant that their original vision must remain intact. But Fox had already made the decision to pursue Richter’s vision, and Richter was then given the chance to do the rewrite himself. Richter did tons of reading a research (these were the pre-Google days) to learn about Chinese mythology and cobble together a legend that honored actual Chinese folklore. It wasn’t until after Richter had completed a final draft that John Carpenter was brought onboard to helm the project. Carpenter says the primary draw for him was the opportunity the pay homage to the Kung Fu films that he loved in his younger years. In an interesting twist, Fox tried to deny Gary Goldman and David Z. Weinstein a screenwriting credit for BIG TROUBLE IN LITTLE CHINA and attempted to credit W.D. Richter as the sole writer. Mere days before the film’s release, Goldman and Weinstein were appealing their case the to Writers’ Guild. The Guild ruled in Goldman and Weinstein’s favor and ordered Fox to give the pair their due credit. Richter was ultimately given credit for an adaptation.